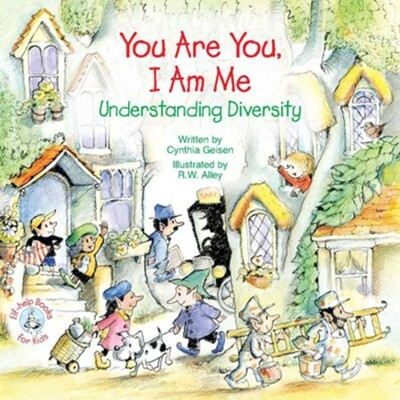 In You Are You, I Am Me, author Cynthia Geisen helps children reflect on how we can appreciateand even celebratethe diversity in the world around us while also helping them to recognize those things that we all share. Cynthia Geisen has served as a chaplain, an advocate for survivors of domestic and sexual violence, and as a pastor of congregations that are in transition She has written several books and booklets for Abbey Press Publications, including the childrens Just For Me books: What Is God Like? and We Are Different and Alike: A Book About Diversity. I'm the author/artist and I want to review You Are You, I Am Me: Understanding Diversity / Digital original - eBook.